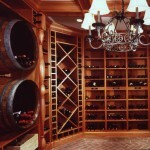 Atmosphere is as important as the wine storage. 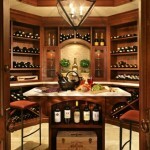 It is a place where homeowners can take their guests for an intimate, authentic wine-tasting experience. 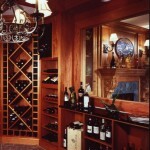 The display of the bottles is varied and functional highlighting single bottles and bulk storage. 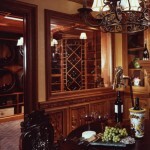 Lighting and organic materials enhance the custom storage using arched doors, leaded glass and vintage cellar doors.